Enjoy complimentary spa membership, a bottle of bubbly on arrival, and entry to the Tresco Abbey Gardens! 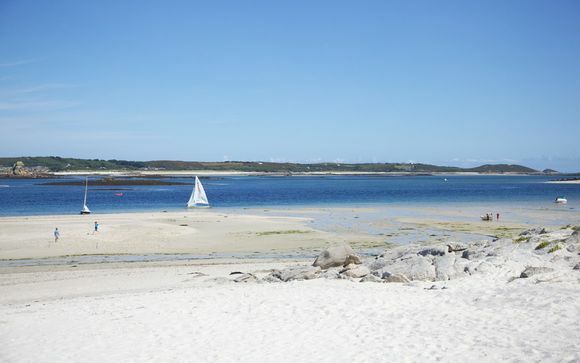 Tresco is located 28 miles from the Cornish coast and fifteen minutes by air from Lands' End. It is a small, family island resplendent with unspoilt beaches and a beautiful and varied landscape. The Isles of Scilly feature in National Geographic's World’s Top 10 Islands and so the exquisite Tresco is well worth a visit! Make sure to dedicate some time to visiting the Tresco Abbey Gardens, which is internationally renowned for hosting the finest outdoor specimens of sub-tropical flora and fauna in the Northern hemisphere. The rich and varied history of Tresco is written on the island's landscape. Explore Bronze Age tombs, ruined castles and the sites of ancient shipwrecks. Uncover the past on an archaeological holiday. Be inspired by Tresco's natural beauty and capture the results on canvas or relax in quiet contemplation on a yoga break. Take to the seas for exploration and exhilaration or view the variety of interesting birdlife that can be found throughout the island. The island is equally suited to those who wish to take life easy as it is to those seeking discovery and adventure. There are plenty of diverse activities from fishing and sailing to fine dining and being pampered in the Spa. 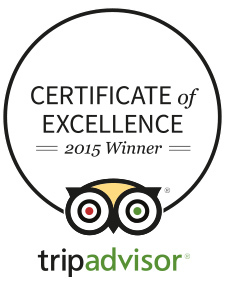 The New Inn is an award-winning hotel, recognised for its quality, service and food excellence. 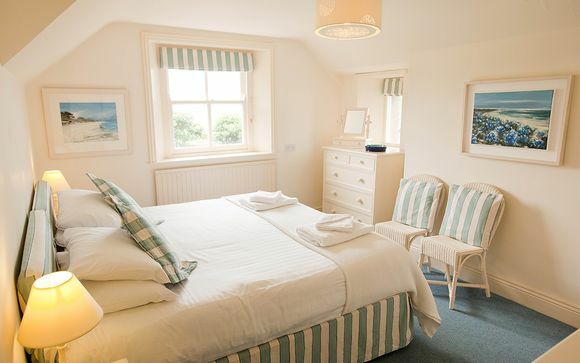 Enjoy a fantastic location for a short break, with cosy interiors and an array of dining options. There are also plenty of activities available, with both a swimming pool and tennis courts nearby. These warm, charming rooms are beautifully decorated in natural hues and seaside blues. All rooms have an en-suite bathroom and most offer both a bath and a shower. The Standard Rooms are located in the older part of the building, so are welcoming and cosy. Rooms with children are subject to availability. This offer is based on a bed and breakfast stay. Just for you: a complimentary bottle of Prosecco. The New Inn is one of only 12 pubs in Cornwall listed in the 'Eating Out in Pubs' Michelin Guide. It offers a fantastic selection of real ales as well as a traditional lunch and dinner. There are also daily specials and a traditional roast is available on Sundays. Other choices on the island are The Flying Boat Club or The Ruin Beach Café, or for special treat, why not take an evening boat trips to one of the other islands for dinner? Just for you: entrance to Tresco Abbey Gardens as well as spa membership per person per stay at the Flying Boat Club. The New Inn offers a number of activities to keep you busy, including a heated swimming pool (between May and September) and full size all-weather tennis courts nearby. At the Flying Boat Club, you will have access to an indoor swimming-pool, gym, sauna, steam-room and Jacuzzi. A range of spa treatments are available at an additional cost. There is also The Flying Boat Restaurant, where you can enjoy light snacks, coffees and lunch.